Tonci Stipanovic is assured of at least a silver medal in the Men’s One Person Dinghy (Laser), with a strong chance of gold. Australia is certain of a medal too in the same class as well as the Netherlands in the Women’s One Person Dinghy (Laser Radial). France’s Billy Besson was nursing a back injury in the lead up to Rio 2016 but the Besson everyone knows and loves was back today. After a horrible start for Besson and his crew mate Marie Riou, they have shot back up the scoreboard after an amazing day on the ocean and remain back in contention for a podium finish. Tonci Stipanovic (CRO) has secured Croatia’s first ever medal in Olympic sailing, with the silver guaranteed. The only sailor who can threaten Croatian gold in Monday’s Medal Race is Tom Burton (AUS) who sits 10 points behind Stipanovic and is assured of a medal. It was a tense day on the water for the Men’s Laser fleet, with one race on the Niterói course and the last qualifying race on the Pão de Açucar (Sugarloaf Mountain) course. Stipanovic kept his nerve to score 7,3 and Burton also sailed consistently for a 11,4. Sam Meech’s victory in the last race has lifted the New Zealander to third overall, but it was not a good outing for Robert Scheidt (BRA) who tumbled from second overall to fifth after failing to get to grips with the day, his scores 26,11. Marit Bouwmeester (NED) has moved back to the top of the leaderboard in the Laser Radial fleet and holds a useful eight-point buffer on second placed Anne-Marie Rindom (DEN) for Monday’s Medal Race. The London 2012 silver medallist is assured of another medal and is strongly positioned to win the gold that was so nearly hers four years ago. The Laser Radials contested one race on the Pão de Açucar (Sugarloaf Mountain) course and one on Niterói, and Bouwmeester proved very adaptable to the different conditions, scoring 5,2. Annalise Murphy (IRL) also sailed superbly to score a sixth and seventh which puts her just two points behind Rindom. However best performer of the day was Evi Van Acker (BEL) whose first and fifth has brought her back into medal contention after a shaky start to the regatta, compounded by the effects of an intestinal infection. She and fifth-placed Tuula Tenkanen (FIN) will have to sail a very good Medal Race to have a chance at silver or bronze, but it’s possible. Before today’s three races on the Copacabana course, the prospect of a medal looked very distant for the pre-event favourites, Billy Besson and Marie Riou (FRA). But scores of 2,1,1 have shot the French out of the teens and into seventh overall. What is also playing into their favour is how no one else has managed to find much consistency across the series. Jason Waterhouse and Lisa Darmanin (AUS) hold on to the lead but only by three points from the next two teams tied on equal points, Santiago Lange and Cecilia Carranza Saroli (ARG) and Ben Saxton and Nicola Groves (GBR). Thomas Zajac and Tanja Frank (AUT) have made some good moves up the table to fifth overall after a solid set of scores on Copacabana. Lange, aged 57, is the oldest athlete in the Olympic sailing competition and has won two Olympic medals in his long career. That experience is serving him well this week. 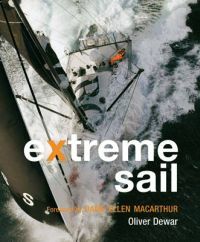 “We have to be very calm, because the fleet is very competitive and the race course so difficult. There are still three races and the Medal Race ahead. We are very happy because we are in the fight, we came here to fight for a medal and we are doing it. “The gold is always an option, we are confident on our preparation, but we are also aware that all is very open. I think that the one who is tenth in the overall results today can still win the gold. We have to be very calm and race well tomorrow. Erik Heil and Thomas Ploessel (GER) were flying in the medium winds on the Aeroporto course on a day that demanded four tiring races from the Men’s 49er crews. A race win at the start of the day combined with some other top five scores has brought the Germans to just three points off the lead, still held by Peter Burling and Blair Tuke (NZL). Heil and Ploessel have a 15-point lead over the chasing pack who are tightly bunched on points, with the best of the rest being third-placed Danish team of Jonas Warrer and Christian Peter Lübeck who won the third race of the day. Defending Olympic Champions Nathan Outteridge and Iain Jensen (AUS) started the day well with a second place but are still struggling to fire on all cylinders and sit in sixth overall at the halfway point of the qualifying series. It was an inauspicious start to the Danish campaign for a medal in the Women’s Skiff in the first race on the previous day, when Jena Hansen and Katja Salskov-Iversen were UFD disqualified for breaking the start line too soon. However, they have since made amends with four second places and a fourth, catapulting the Danes to the top of the 49erFX tree. Tied in second overall are two former World Champion teams, Martine Grael and Kahena Kunze (BRA) and Alex Maloney and Molly Meech (NZL). Meech will be buoyed by having seen her brother move into third place overall before the Laser Men’s Medal Race in two days’ time. 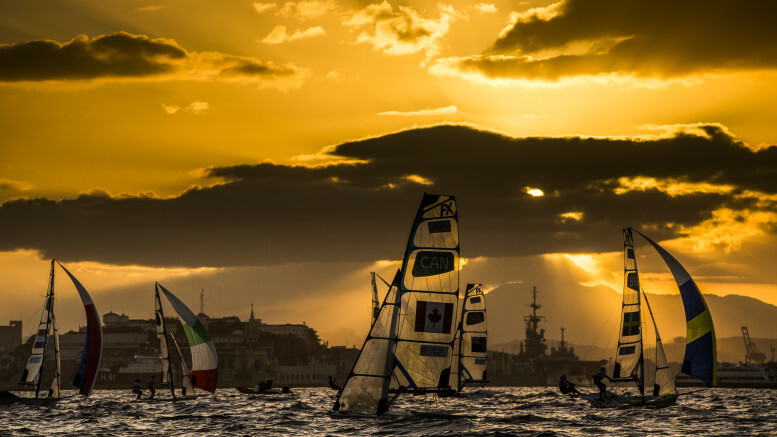 The 2016 and 2015 World Champions, representing Spain and Italy respectively, hold fourth and fifth overall at the halfway stage of the 49erFX qualifying series. Giles Scott (GBR) has pulled out a 16-point lead after scoring 1,3 in races seven and eight of the qualifying series in the Finn fleet. Vasilij Zbogar (SLO) has consolidated his position in second overall while Jake Lilley’s good day on Ponte course has lifted the Australian to third overall. Pieter-Jan Postma (NED) and Ivan Gaspic (CRO) are clawing their way into medal contention and sit on equal points. The racing resumes on Sunday 14 August at 13:00 local time. The RS:X fleets will contest the first Medal Race of the Olympic Sailing Competition as the fleet racing continues with the Finn, Men’s and Women’s 470 and the Nacra 17.